Atazanavir urolithiasis is unapparent in the literature. We now report the first known episodes of atazanavir urolithiasis received in our laboratory. 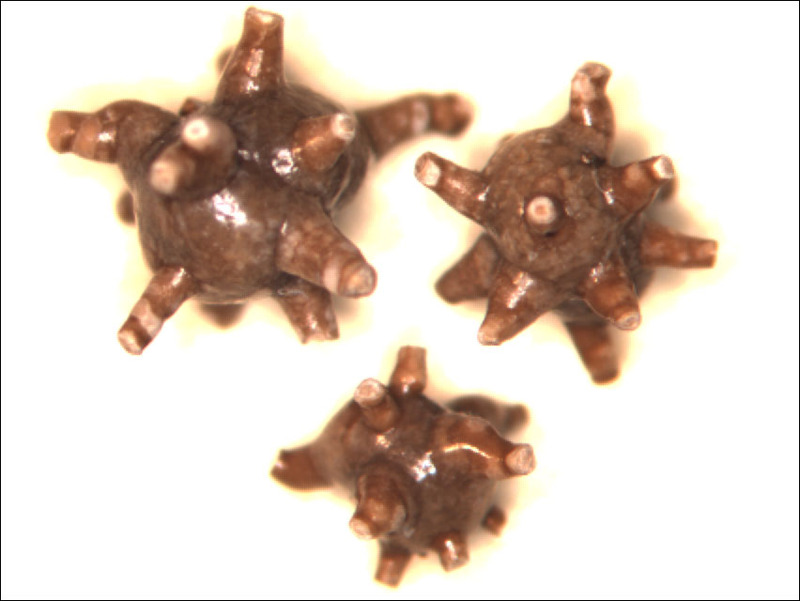 Three separate urolith samples received in our laboratory contained an unknown substance which has been identified as atazanavir and/or metabolite(s). The first urolith was received January 5, 2005. It consisted of a 4.0 mg. calcium oxalate monohydrate calculus, with a few random internodular patches of calcium oxalate dihydrate and hydroxyl apatite. A deposit of an unknown crystalline material was attached to the surface. The unknown material comprised approximately 2% of stone volume. 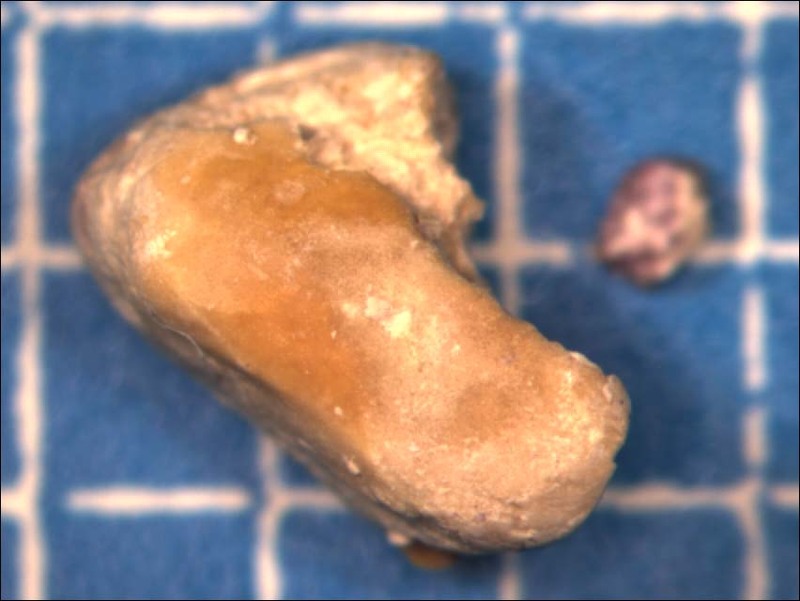 The second urolith received on July 21, 2005 consisted of a 4.3 mg. calcium oxalate monohydrate calculus. It was completely overlaid with a dense tan encrustation of the unknown material, comprising approximately 47% of stone volume. The third urolith was received August 8, 2005. It consisted of 17.7 mg. of moderately compact, off-white to tan, subcrystalline to columnar structure calculus fragments. It was composed predominantly of the unknown material. A small quantity of hydroxyl apatite was heterogeneously intermixed. The unknown comprised approximately 95% of stone volume. Drug histories obtained for the July 21 and August 8 uroliths revealed the drugs atazanavir, ritonavir and tenofovir common to both patients. 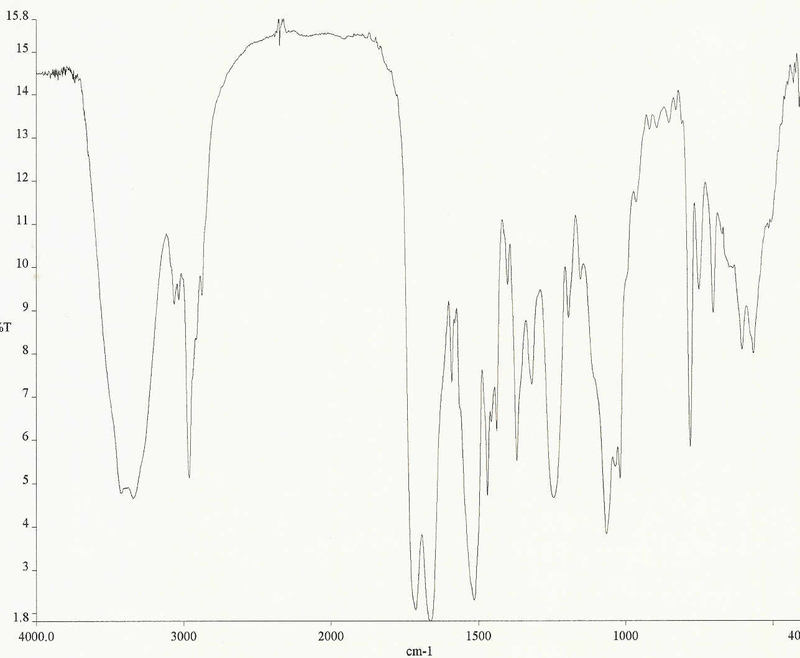 Infrared and ultraviolet spectrophotometry, x-ray powder diffraction and thin layer chromatography indicate the unknown material is composed of atazanavir sulfate. X-ray diffraction offered little initial assistance, except to demonstrate x-ray amorphous crystalline states. Recrystallization from ethanol proved successful in obtaining matching patterns. 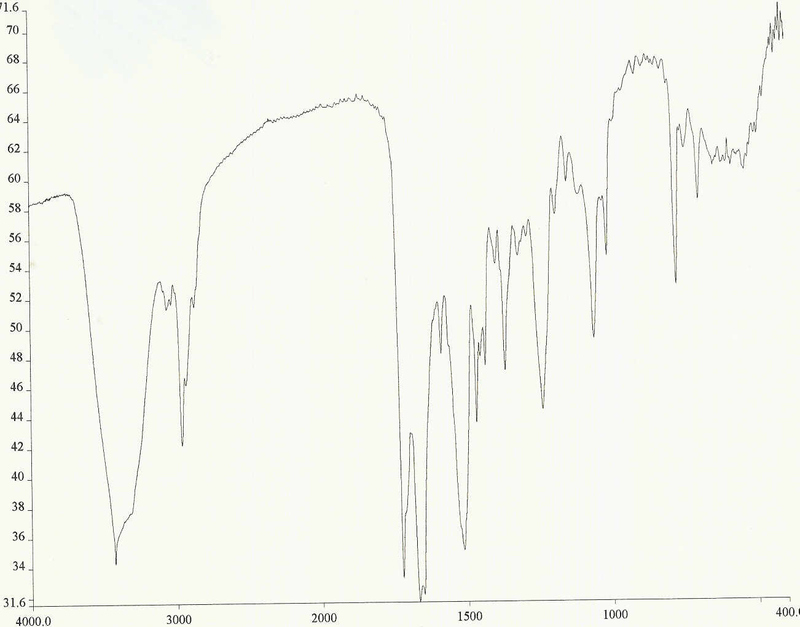 Ultraviolet spectra of urolith samples and atazanavir sulfate correspond quite well in multiple solvents. Thin layer chromatography of uroliths and drug exhibit Rf = 0.37 using Hexane/Acetone (3:2) with silica gel plates. Copyright © - Louis C. Herring & Company, Inc.